The island nation of Sri Lanka is located in the Indian Ocean 55 miles (89 km) off the south coast of India. This culturally diverse country has stunning natural scenery including gorgeous tea covered hills, mountains, valleys, plains, rain forests, waterfalls and beaches. There are still places where wild elephants, bears, deer and leopards roam freely. Over 400 species of beautiful birds can be spotted including the spectacular peacock. In some areas monkeys are as common as squirrels and pigeons. Sri Lanka is deeply steeped in history. It plays a prominent role as the island of Lanka in the Hindu epic poem The Ramayana. Written by the sage Valmiki, the work is considered to have been completed around 300-400 B.C. It is said that Gautama Buddha visited the island. By 300 B.C. Buddhism was being practiced, monasteries were built and monks trained to form the monastic community or Sangha. Sri Lankan traders and seaman played an important role in the spread of Theravada Buddhism to Southeast Asia. Due to its abundant natural resources and prized location on the trade route between India and China, Sri Lanka was colonized by the Portuguese, Dutch and finally the English. Sri Lanka’s devastating 26 year civil war officially ended in May 2009. The numbers of visitors to this unique country have increased dramatically every year since 2010. In 2015 1.8 million people traveled to Sri Lanka to participate in such varied activities as exploring UNESCO world heritage sites, trekking, surfing, whitewater rafting, and SCUBA diving. The opportunity to view wildlife draws travelers from around the globe to the island’s many national parks. Uda Walawe National Park is the home to approximately 500 wild elephants; Yale National Park is one of the best places to view leopards. The island is a bird watcher’s paradise; many different species can be seen while trekking on Horton Plains. The coastal town of Mirissa is best known for whale and dolphin watching trips. Getting to Sri Lanka is not difficult; numerous flights from abroad arrive daily at the Colombo-Bandaranaike International Airport (CMB). In addition to the national carrier Sri Lankan Airlines, a number of international carriers such as Air Asia, Emirates Airlines, Malaysian Airlines and Qatar Airways service Sri Lanka. Major gateway cities include Delhi, Doha, Dubai, Kuala Lumpur and Singapore. Colombo, Sri Lanka’s capital is 20 miles (32 km) from the airport. Most travelers stay in the historic Fort area. As the highway approaches the city limits traffic becomes very congested and it can easily take more than an hour to reach this area of the city. Taking a taxi is the most practical way to get into the city and costs LKR (Sri Lankan Rupees) 2,500 to 3,000 or around $20 USD. 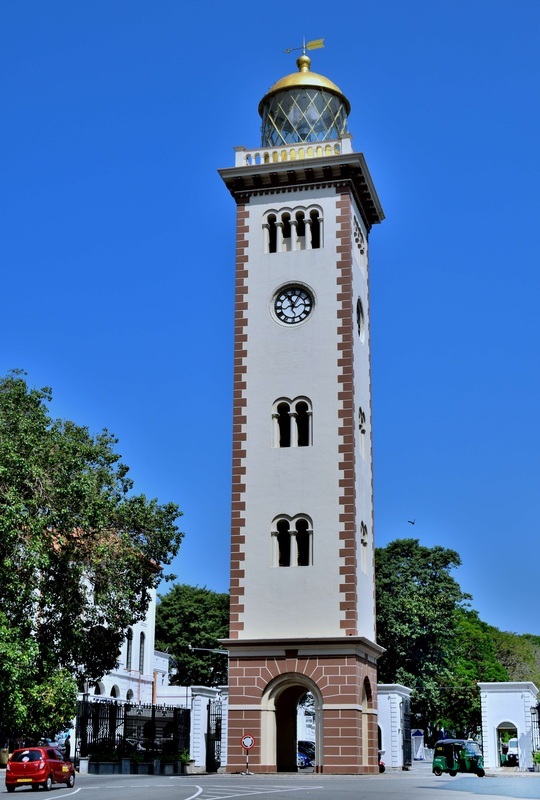 Many people who arrive in Sri Lanka on long-haul flights, from Europe for example, opt to spend their first night in the beach town of Negombo. 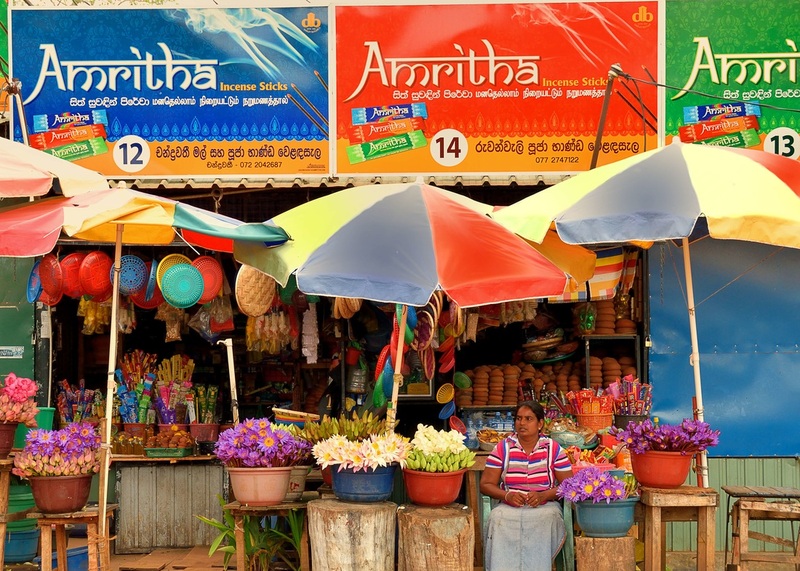 This tourist friendly town is approximately 20 minutes from the airport; the taxi fare is LKR 1,500 or $10 USD. Hotels are reasonably priced and the town boasts a few good restaurants and souvenir shops. It’s also very common for travelers to spend the last night of the trip in Negombo, particularly for those who are catching an early flight. However, other than the souvenir shops and a couple of bars, there is really nothing to see here, the town and its beach are rather underwhelming. 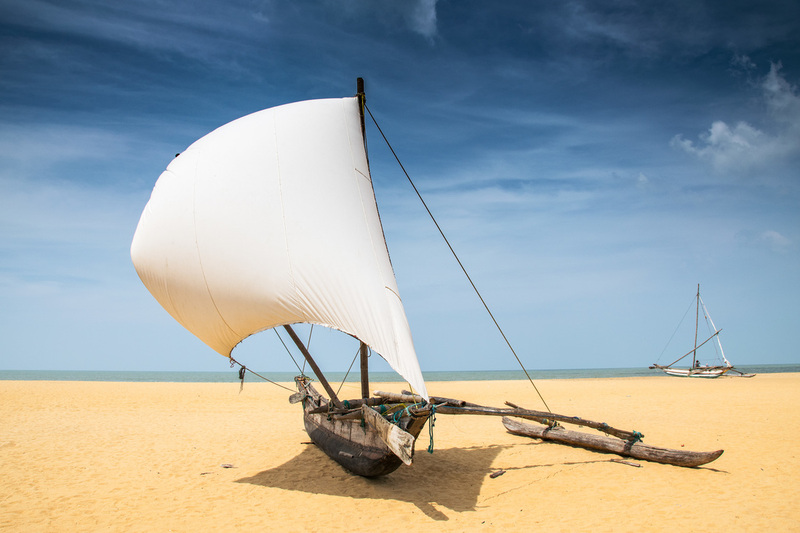 Almost everyone traveling to Sri Lanka will require a tourist visa which can be easily obtained online using the “Electronic Travel Authorization”, or ETA system. Applicants need only complete a simple form, make a $35 USD credit card payment and submit. An hour later travelers can expect an e-mail confirming the successful completion of the process. There is no need to print anything. Upon arrival in Colombo, go directly to the passport control /immigration line and hand the officer your passport. The officer will quickly access the ETA information from his computer and stamp your passport in a few minutes. Based on our recent tour of the island we suggest utilizing a combination of all three methods. Many visitors hire a car with a driver for all or at least part of their tour of the country. The logic behind this option is that most of the most popular destinations are spread out over virtually the entire island, a few of which are not easily accessible by public transportation. The general opinion among the travel experts is that renting a car and driving yourself is not a good idea. Unlike other destinations, hiring a car with a driver is an affordable option. There is no question that being chauffeured from town to town in air conditioned comfort is more appealing and certainly saves a tremendous amount of time compared to taking a bus or train. Most of the time the driver becomes a de facto tour guide, (not necessarily at historical sites) assisting with hotel arrangements, dining options and souvenir shopping. Having a driver is not exactly independent travel, but a practical option depending on which cities and sites are to be visited. The cost for renting a car and driver is generally $50-$70 USD per day. This includes gasoline, but there is very often a fuel surcharge for every kilometer traveled over 100 km in any given day. Driver accommodations and meals are mostly included but not always. It’s very important to get clarification on all these details before making a commitment to a particular agency or driver. On the other hand, fuel, food or a bed for the driver are relatively inexpensive by western standards. One has to consider the value of the daily rate vs. any additional charges. The price range depends mostly on which method is used to source and book the vehicle. Some people will plan their itinerary well in advance with the help of Sri Lankan travel agencies. The largest and best known are; Walkers Tours, Jetwing and Red Dot. These companies will arrange everything including hotels, guest houses, cars and drivers. Expect to pay around $60-$70 USD per day to book through an agency. There are several advantages to using an agency. These companies will make sure that the car is in good condition and that the driver is properly qualified and reliable. If something happens to the car or the driver becomes sick, a replacement for either is guaranteed to arrive in a reasonable amount of time. Another car hire option is to make the booking locally through hotels, guest houses or walk in travel agencies. The cost of booking this way should be $50-60 USD. Lastly, there are many independent drivers who can be found on the internet or by word of mouth. Generally this is the most economical method but vetting the driver (checking his credentials), inspecting the car and sorting out the details become the lessee’s responsibility. One final point on car rental; generally speaking, everything is negotiable in Sri Lanka. Traveling by train in Sri Lanka is a very economical option which provides visitors a fantastic opportunity to see the island’s breathtaking scenery while gaining a glimpse into the daily lives of its people. You can not help but interact with Sri Lankans as you will be elbow to elbow on crowded platforms and rail cars. Rail travel is where you will see and experience the very best of local hospitality. Sri Lankans are very friendly and are always up for a chat which is a big help when trying to navigate the rail system. Be forewarned that traveling by railway requires some patience; trains often run behind schedule and are often canceled all together. 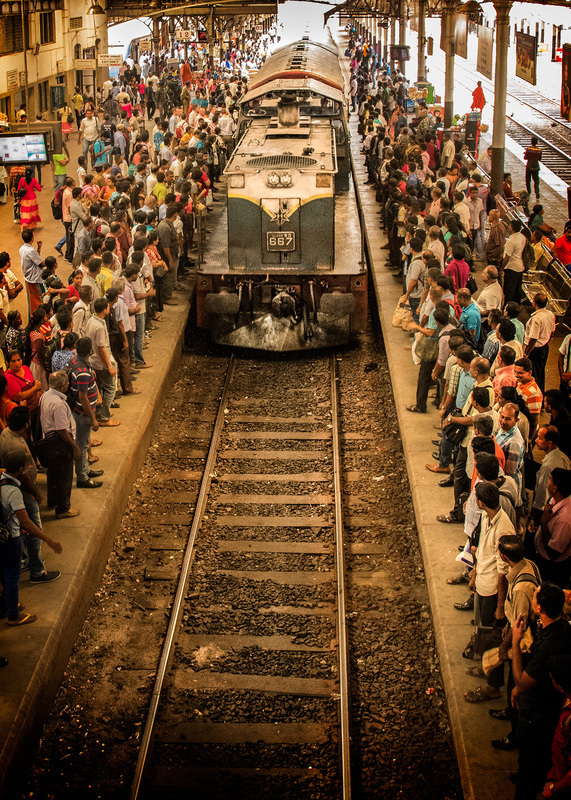 Stations and platforms in the major cities can be crowded and chaotic but the locals are always willing to help out by answering questions, confirming departure times and pointing strangers in the right direction. Colombo’s Fort station is the major hub of Sri Lanka Railways. From this station many of the major destinations of interest to travelers can be reached. Many travelers will choose to make advanced bookings before reaching the island; some will only book a day ahead of time and still more will only buy tickets at the time of travel. No matter what your plan the seat 61 website is a great source of information and an invaluable reference tool. On our recent journey we booked tickets no more than a day in advance on the Colombo-Badulla line, tickets for all other destinations were purchased just before departure. Here is some general advice regarding train travel in Sri Lanka based on our personal experience and the general consensuses of Sri Lankan travel experts. 1. Pack lightly and travel with minimal luggage, smaller sized back packs work the best as the only place to store baggage is in overhead racks. 2. The toilet facilities are not up to western sanitary standards, carry wet wipes and Kleenex. 3. Avoid overnight trains, travel during daylight hours. This is particularly true for single females. 4. Be prepared for delays or trains being canceled all together. Give yourself a day off between rail travel and flying home from Colombo. second and third class, first class and advanced reservations. 6. When purchasing advanced tickets make sure everything, (train number, date time, etc.) is correct before leaving the ticket window. 7. There is a big difference in comfort and cleanliness between the newer blue Chinese built rail cars used on the Main Line and the older red cars used elsewhere. ​On our recent journey through Sri Lanka we traveled almost exclusively by train. However, there were several legs of the trip where it would have been much faster (perhaps smarter as well) to have taken a bus. 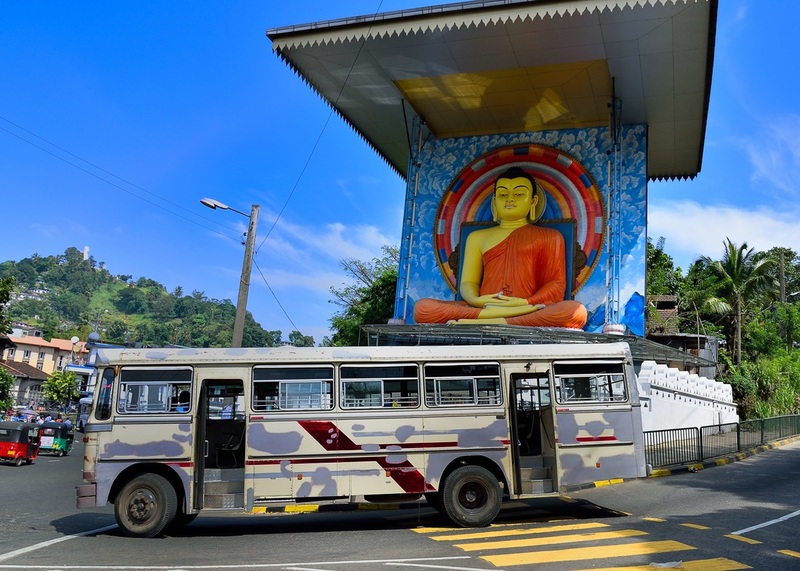 For example, from Nuwara Eliya to Anuradhapura or Anuradhapura to Negombo the bus is much faster than the train. There are a number of popular destinations in southeastern Sri Lanka, such as Tissa for visiting Yala National Park which cannot be reached by train. Buses reach virtually every town and city in the country can and are very inexpensive. In some cases buses are the best option for budget travelers. Unfortunately buses in Sri Lanka are often crowded, hot and generally uncomfortable. On most buses there is little space for luggage so plan on traveling light. It is generally recommended not to bring small children (under 8-9) on buses. For more information on bus routes and timetables visit these Sri Lankan websites; route master and bus bookings.